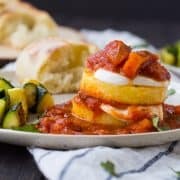 This polenta stack recipe is the perfect combination of rustic simplicity and effortless impressiveness. 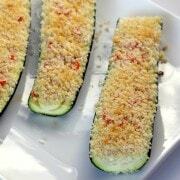 Ready in 15 minutes thanks to some simple shortcuts, it will become a go-to recipe in your kitchen! You know those people who are effortlessly cool? I’m talking about that chick that can rock a tousled bun, ripped jeans, a white t-shirt and flats while still looking like she’s got it all going on. She’s put together, but still looks down to earth and like she literally rolled out of bed looking like that. Well, I’m clearly not one of those ladies, but this recipe is. It’s visually stunning, but it still has that rustic, down-to-earth appeal. And let me tell you, it’s certainly approachable and easy to make, just like the rest of my recipes. 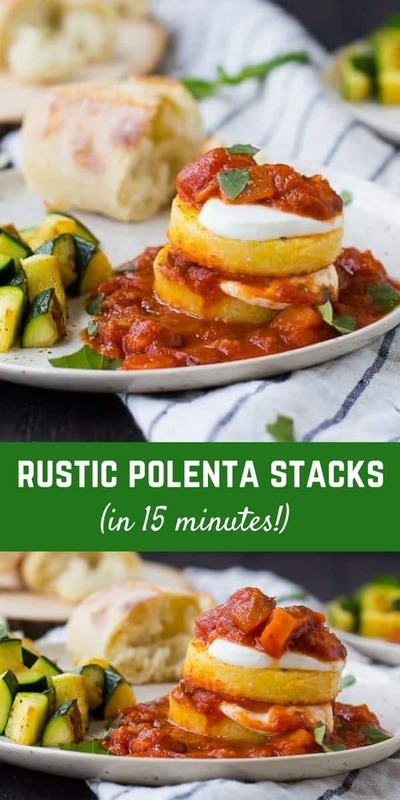 This polenta stack recipe is a perfect side dish alongside a grilled chicken breast, or a great vegetarian meal, which is how my husband and I enjoyed it. I paired it with sautéed zucchini and a good crusty bread. One of my favorite shortcuts while cooking is to doctor up a jar of pasta sauce that I bought at the grocery store. We’re all busy so I look for shortcuts that make my life easier and taste just as great, particularly if you’re buying high-quality items at the grocery store. I usually doctor up sauces by adding every vegetable in sight to the sauce. Carrots, mushrooms, zucchini, spinach, basically whatever I can get my hands on. I sometimes even add extra diced tomatoes! 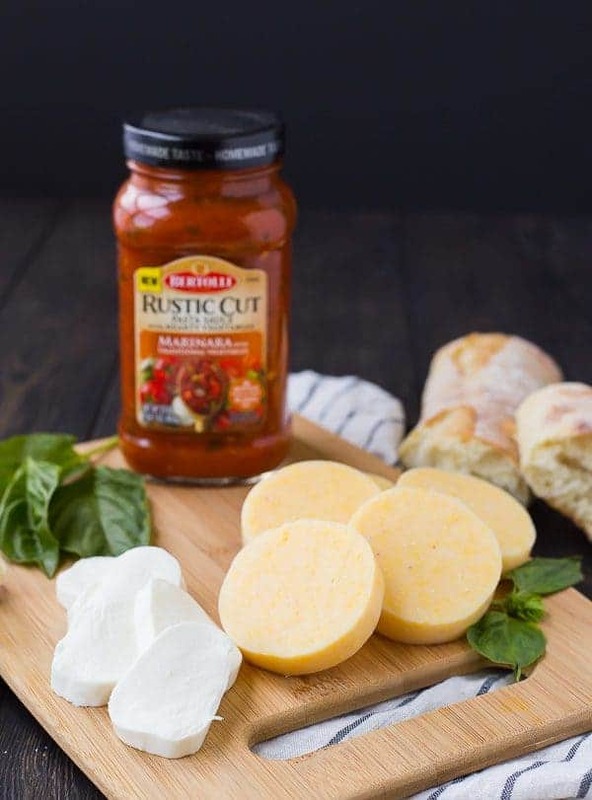 When Bertolli approached me about partnering with them to create a recipe with their new sauce that has large, crisp, rustic cut vegetables already in the sauce, I was thrilled! This means one less step for me (and YOU! ), folks! 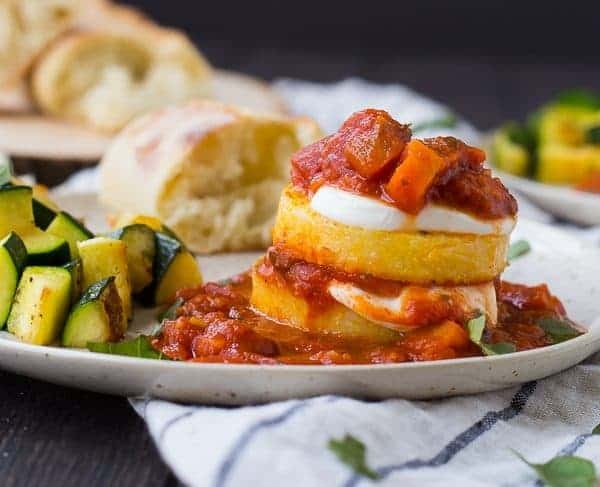 The sauce I used in this recipe, Bertolli® Rustic Cut Marinara with Traditional Vegetables Sauce contains chunky tomatoes, carrots, celery, onions, garlic, and basil. And here’s the best part, you can SEE them in the sauce. I couldn’t believe how great the thick-cut vegetables were — you can tell what each one is, and it looks just like homemade (wink wink – your secret is safe with me). So here’s the thing about taking shortcuts. I only take them when I’m still feeding my family a great product, and this sauce has no artificial colors, no artificial flavors, and no added sugar. That’s right, pasta sauce with NO added sugar!!! It exists. (And it only has 100 calories per serving!) 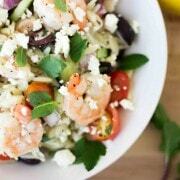 It also contains extra virgin olive oil, which as you know, adds a lot of great flavor to the sauce. You could make your own polenta and let it cool and harden overnight in the fridge before slicing into squares or rounds, but you can also buy a tube of ready-to-go polenta. It’s easy and contains five servings (at least the brand I bought did), which just so happens to be the same number of servings in a jar of Bertolli Rustic Cut Sauce. 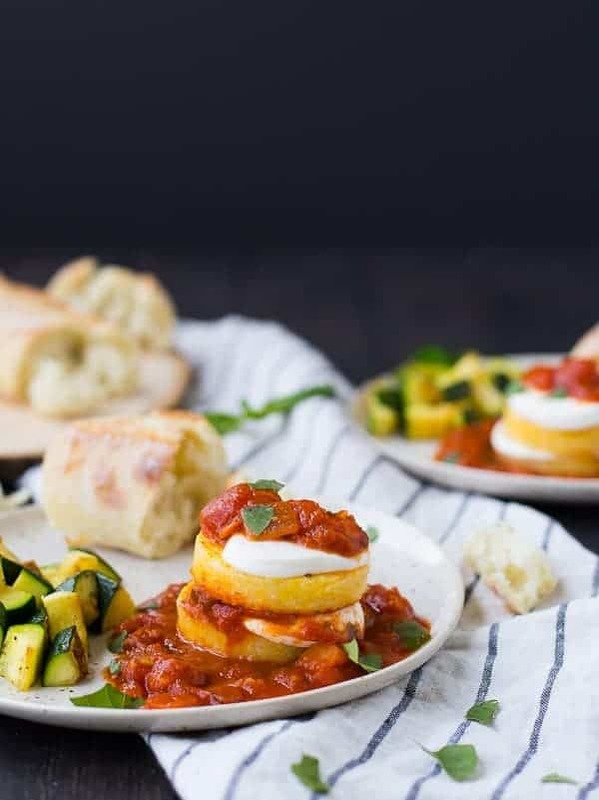 I buy pre-sliced fresh Mozzarella cheese for this recipe. It makes assembling these stacks so effortless. I pan-fried my polenta, but you could also grill it! ‘Tis the season! Make sure you oil both the polenta slices and the grill to prevent sticking. If you’re having a hard time getting it to stack, just stick a toothpick in the center. Make sure to let your friends and family know it’s there, though! 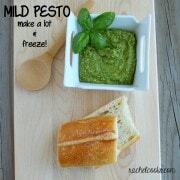 If you don’t have fresh basil or can’t find any that looks good for garnishing, don’t worry about it! The sauce already has a great amount of basil in it so the flavor is all there. It’s only for looks, and it’s gonna look great no matter what. PS: Parsley would be a good substitute too, if you want that touch of bright green. Place Bertolli Rustic Cut Pasta Sauce in a small saucepan over medium heat and heat until heated through. Meanwhile, heat olive oil in a skillet over medium-high heat. Place polenta slices in hot pan and cook for about 5 minutes on each side or until heated through and golden brown. 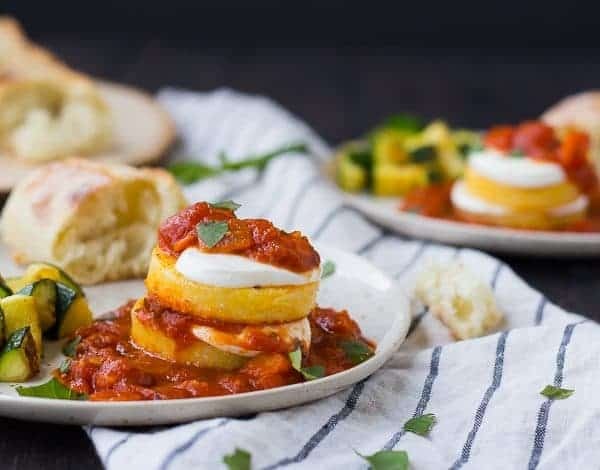 To prepare polenta stacks, add a small scoop of the sauce to the plate or serving dish. Top with a slice of polenta, a slice of cheese, a small scoop of sauce (about 1 tablespoon), and then repeat with another slice of polenta, another slice of cheese, and more sauce. Garnish with torn fresh basil if desired. Enjoy immediately! Note: If you need to, you can secure stacks with a toothpick. Verdict: I’ll definitely be making this recipe time and time again! Husband’s take: He loved this! We actually had it for lunch and he was begggggging to eat it before I had finished photographing it. Difficulty: Easy! Seriously, so quick and easy. 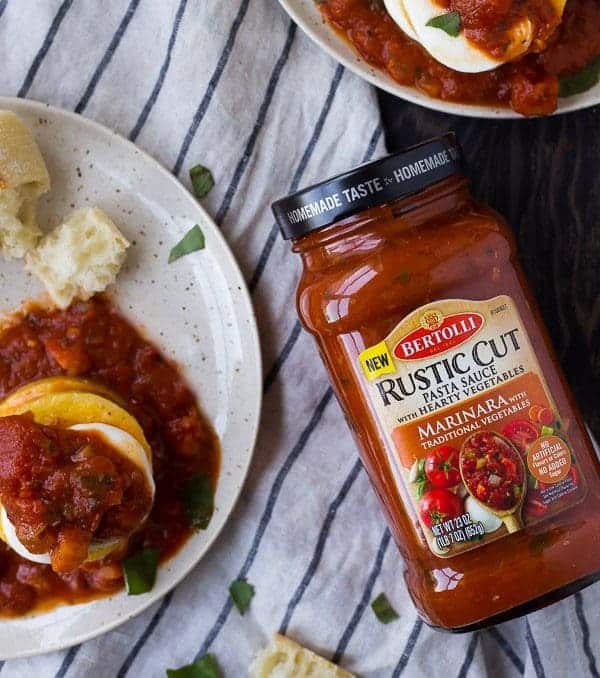 Let me know in the comments if you try the recipe yourself and don’t forget to check out the full collection of New Bertolli Rustic Cut sauces! 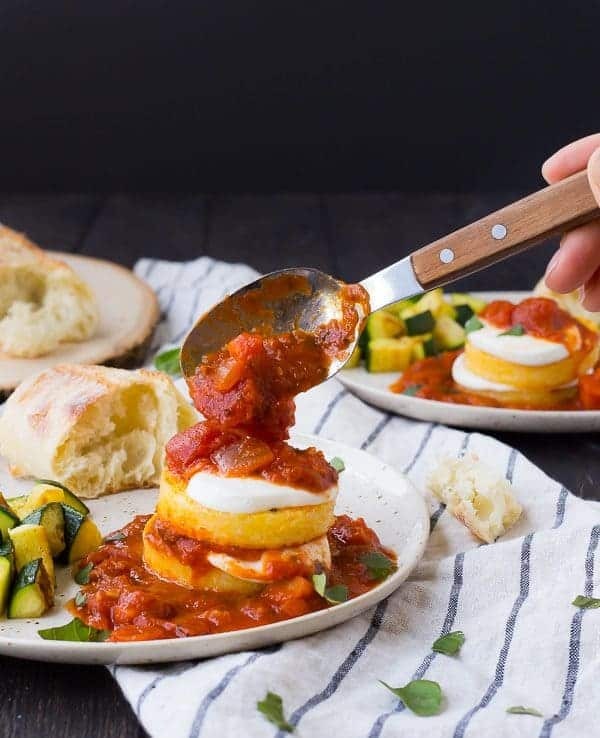 Disclosure: I’m excited to partner with Bertolli to bring you this polenta stack recipe. I have been compensated for my time but all opinions are always my own. Thank you for supporting Rachel Cooks by reading about brands we love and use in our own home.